Since lots of people have ideas, theCO decided to support hackers in creating teams to best accomplish the task they are given. By working with other people in an attempt to solve a problem, you are not only developing software but also community. Although forming a team is suggested, hackers are welcome to come solo and find teammates in the crowd or even try and win the competition individually. Chance Smith, an Innovation Strategist at Sodium Halogen and also a three-time winner of a hackathon out of Nashville called Code for the Kingdom, says that he has hacked with teams as big as fifteen people. Smith says he has experienced hackathons where he was awake for fifty to sixty hours, which led to him being dubbed “The Robot.” But in the end, he says he is able to fight through the sleep deprivation by always looking for something new to learn. You don’t have to know how to code to be on a hackathon team either; teams are always looking for designers, writers, creatives, and more. Though you do have to be at least sixteen years old to participate in theCO’s 48hr Hack, there are multiple skills that can be advantageous to a team, and anyone is welcome to try their hand at it no matter how many or how few hackathons you have been a part of. So, now you may be interested, but does spending forty-eight hours hacking seem like a long time? You might think so, but it’s actually fairly quick in terms of web development. Churning out a whole website or project in two days can be a huge challenge. If you’re worried about the length of the event, rest assured that theCO will be providing food, brainstorming supplies, communication methods like Slack, and most importantly couches for hackers to rest their active minds. You only need to bring a laptop and your best ideas, and you might just win $500. 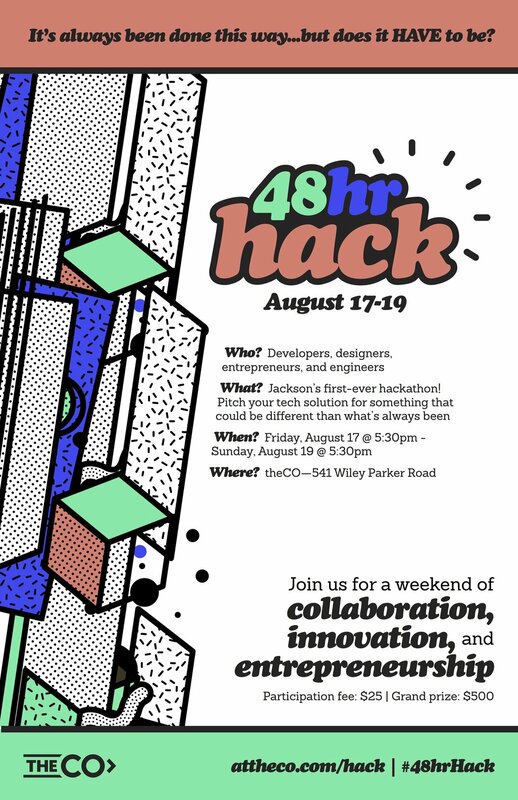 Be sure to sign up, form a team, and rest up for theCO’s 48hr Hack!